Brooklyn-based duo, hunter & wolfe, are releasing their 5-track EP, Late Then Never, on Friday, November 10th, but you can hear it in-full today! This record packs a lot into 5 songs — themes range from tongue-in-cheek wit, regret, suffering from loss, love and self-doubt. 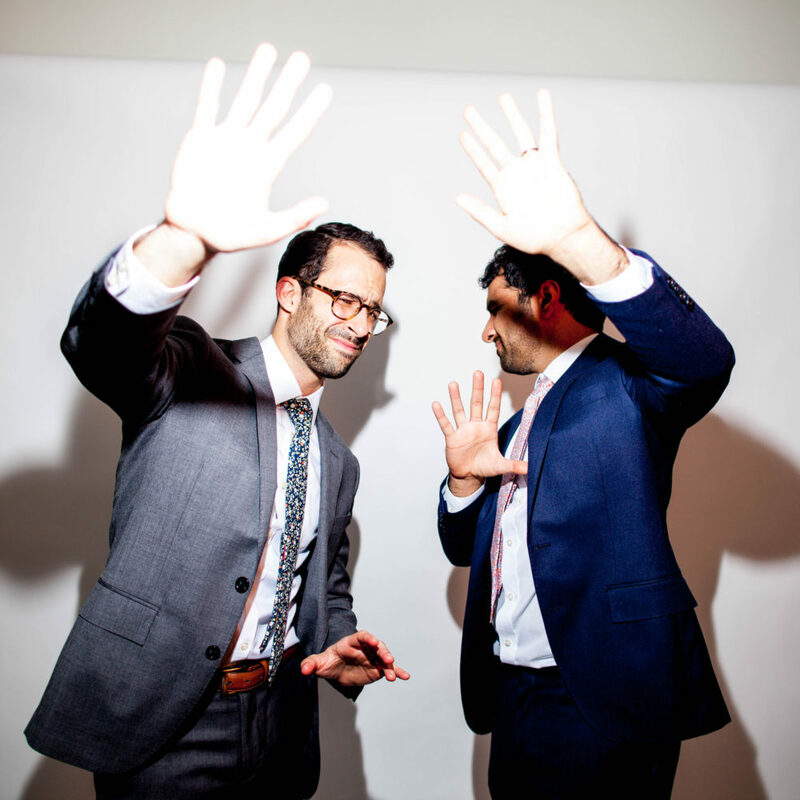 The duo behind the music — Michael Maffei (vocals, guitar, piano) and Sundeep Kapur (guitar) — have a charm about them that comes through in the music. It’s a self-awareness that isn’t afraid to show vulnerability or even be a tad nerdy. There is a realness and a human element to the music. Maffai’s effortless, velvet vocals perfectly juxtapose Kapur’s guitar in a way that feels akin to Key and Peele’s ‘Obama anger translator’ bit. The electric shredding becomes the unfiltered expression of the lyrics and gives the songs both depth and weight. It’s no wonder the duo are inspired by Radiohead, Elliott Smith, and Arcade Fire. It’s also no surprise that their sound has earned them hundreds of thousands of plays and key placements in Spotify-curated playlists, including Fresh Finds and Discovery Weekly. The forthcoming EP is a follow-up to the band’s 2014 full-length LP, Days And Works, and serves as an answer to many questions asked on that record. With the help of Doug Schadt (producer/engineer), Harper James (engineer), and Joe Lambert (mastering), the result sounds amazing. Late Then Never will be available for purchase this Friday and will be distributed digitally by Spotify, Bandcamp, iTunes, and Google Play. Take some time out of your day — away from distractions — to enjoy this amazing record that will quell your feelings of all that overwhelms you.